Dental radiology has come a long way in the past few years, and CBCT is a good example of how radiology imaging has advanced to meet the needs of the dental patient. At Advanced Family Dentistry, we have invested in CBCT in order to help our patients get more efficient and more effective treatment. Cone beam computed tomography is a type of computed tomography that uses a particular model to achieve specific results for dental practices. Computed tomography or CT is the use of many x-ray images from different angles to come up with a composite image that helps medical professionals evaluate a patient. In dental practices, the CT focuses on the mouth and sinus area and other nearby areas of the body. The difference with CBCT is that instead of using a traditional fan shape, CBCT uses a cone beam shape that provides for different uses. 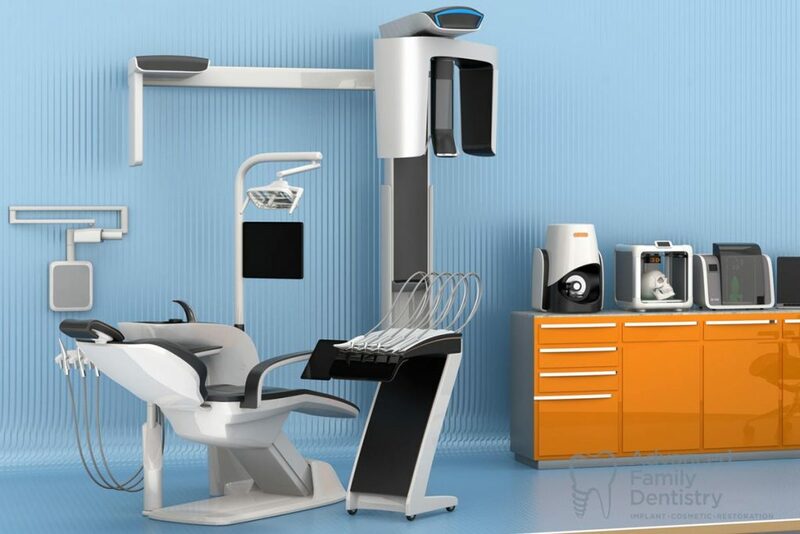 One of the benefits of CBCT is that these machines are more affordable for dental practices, and that means that patients and doctors can utilize them in a greater number of dental offices. CBCT also does not require patient movement, which is another big benefit. There’s also a lower dose of radiation, and the machine is smaller and fits better into small office and exam room spaces. CBCT is used for many different kinds of issues in dental practices. It’s often used to look at tooth impaction – for example, where the proliferation of wisdom teeth has changed how teeth are positioned in the mouth, or how an injury may have changed tooth position. CBCT can also be used to study conditions like TMJ or in evaluating airways, or to plan for orthodontics. If you have any more questions about CBCT and other types of dental radiology or procedures and treatments, come into the office of Advanced Family Dentistry. Dr. Sonny Kim knows how to consult with patients on any of these types of treatments and many others. We’re ready to help you to figure out your road map to better oral health and to help you to overcome any conditions that you may have.